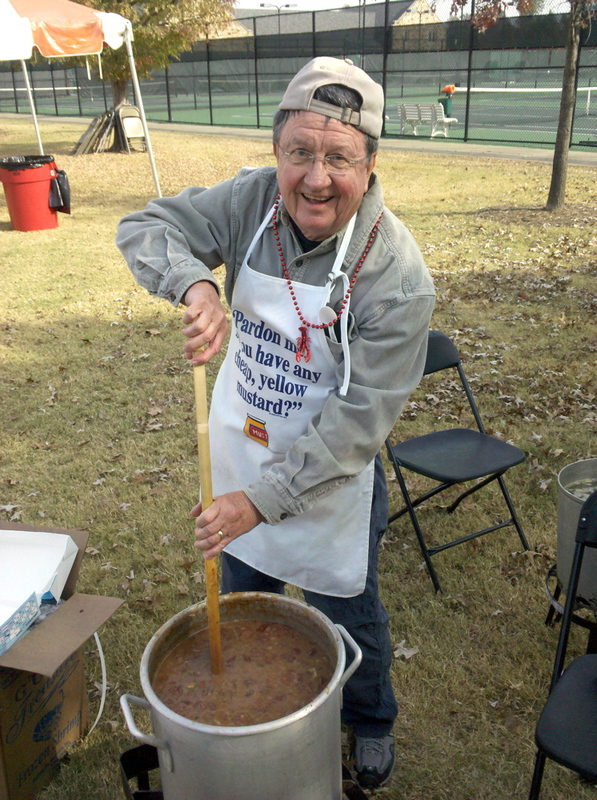 Yesterday was the 5th annual Rhodes CajunFest, and it was probably our most successful one to date, if the speed in which the food was devoured was any indication. 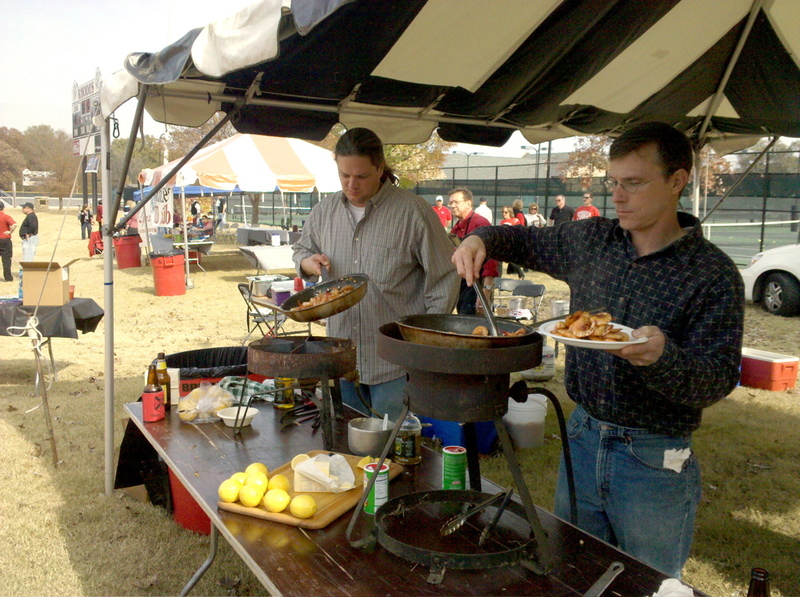 CajunFest was started by Bud Richey and Joby Dion, a couple of Rhodes alumni and employees that call Louisiana home and wanted to share the joy of cooking and eating Cajun food with the Rhodes community. 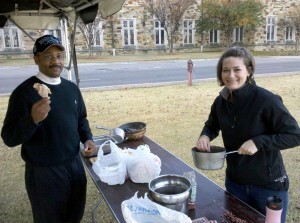 The event is held every year on the day that Rhodes College plays football against our main rival, Sewanee. The day is a long one, getting started about 6:30, setting up propane burners, fetching water, chopping a lot of veggies and meat, and cooking, cooking, cooking. 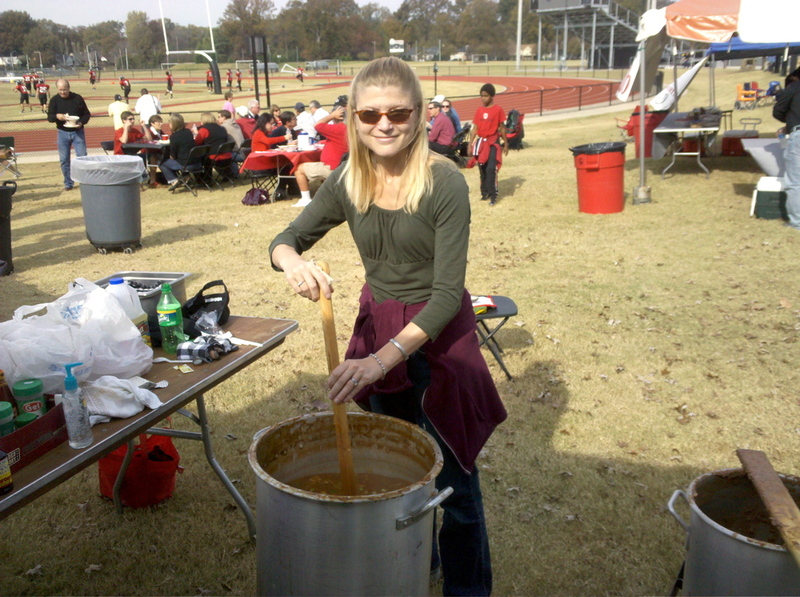 This year, Kath came to help out, and she even got to stir the gumbo. Bud has been our organizer for the past couple of years, doing a magnificent job at what must feel like herding cats at times. 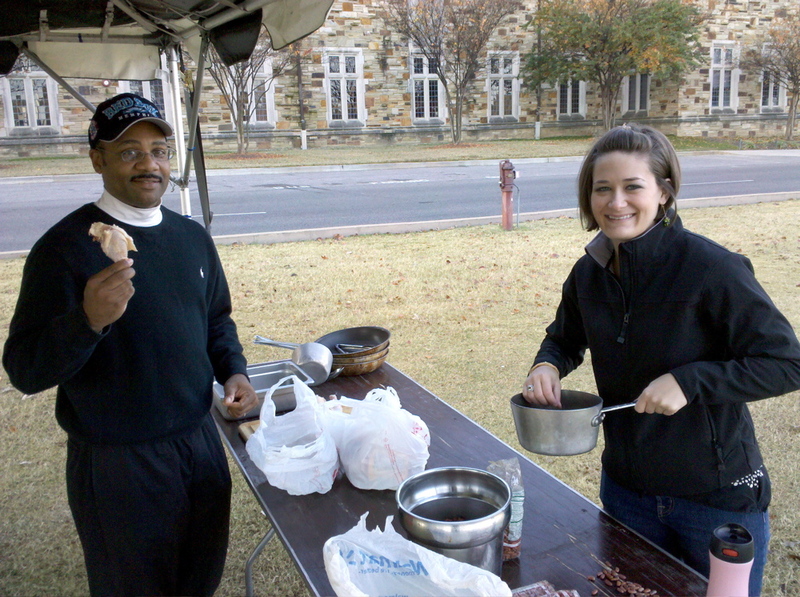 Bud always makes sure we have authentic ingredients, even to the point of driving to the Gulf and picking up fresh seafood and Andouille sausage, straight from the source. 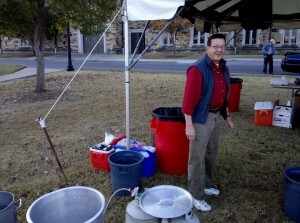 Rhodes Professor Jack Streete really got into the spirit and probably had beads on before anyone else. Sometimes, I forget what a beautiful place Rhodes can be. 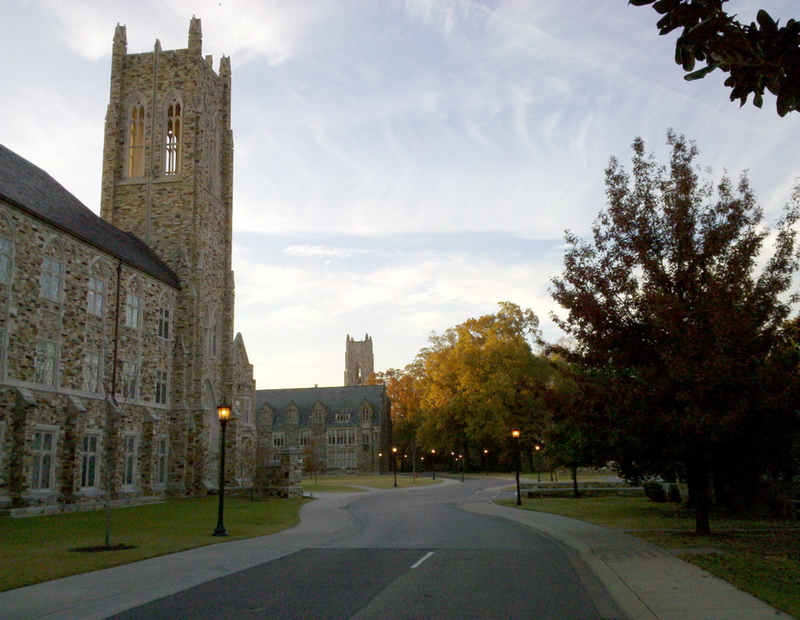 This is the scene in front of the library at 7 AM, with the campus deserted and the sun just peeking up over the treeline. 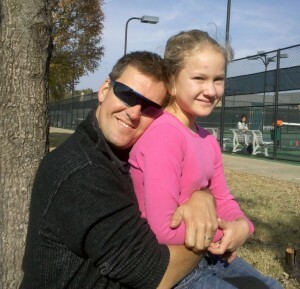 I like this photo of Wisch and his daughter, Toshie. Oh, and Rhodes did win the football game, in overtime, 19-16. Click here to view all of our photos of the event.